I hope you enjoy my watercolors and please come to the show. For thirty eight years Infinity Studio was located next to the famous Santa Monica pleasure pier in beautiful Southern California. This scenic location provided inspiration for Susan and her students. One of Susan's loves was teaching in the studio, along the ocean front boardwalk (that runs right past the front door), on the beach and at various scenic locations nearby. Susan Weinberg is one of the founders of the Association of Venice Artists (AVA), which established the first Venice Art Walk in 1978. In 1979 a short film, available on YouTube (in two parts) and also from the New York Times Movie site, titled "Susan Weinberg - Artist" was made that highlights her work and outlook. As of 2010 Susan was the only professional artist who had been able to remain on the beach front. 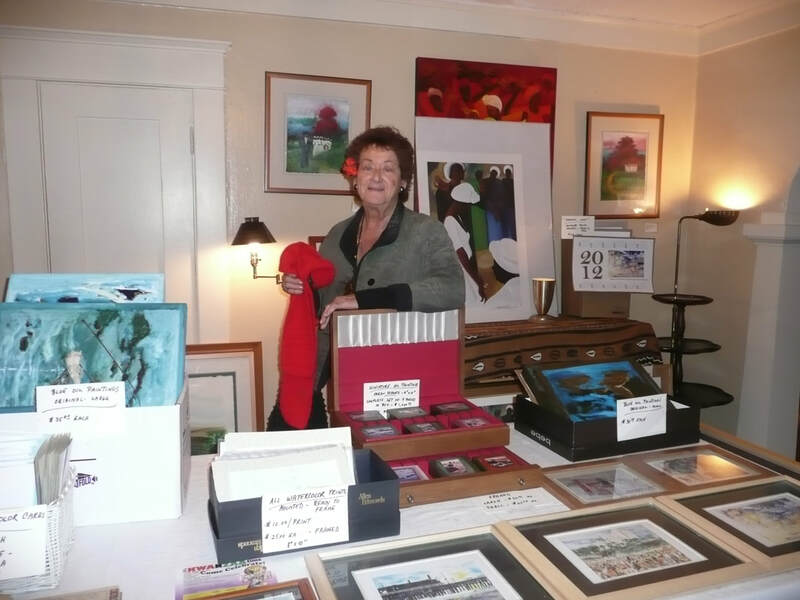 As Vice-President of Artists for Economic Action in Los Angeles, Susan was able to orchestrate many art project, has been on Grant committees and has juried many art shows. During her seminar at the University of California Santa Barbara, Susan demonstrated her color mixing techniques then evolved the seminar into a workshop. A great many of her students have become successful in the art field. She attended Northwestern University and the University of Wisconsin, receiving a B.S. in Science, Home Economics / Education; and a Bachelors and Masters of Fine Arts degree in Painting and Sculpture from Otis Art Institute, Los Angeles, California. "After completing my studies I began traveling my own path. To me art is not just a thing you do, it is an extension of your life, your vision" Susan explains. She developed a technique, now used by many artists - many of whom she has taught, to project images on all kinds of mediums to create true to life but not photo realistic ﻿watercolors﻿. Susan was surprised to find that the series of watercolors presented in these pages are unique. She had been unable to find similar work from this period. 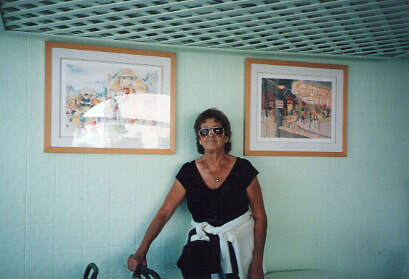 There are many works based on the image of the Santa Monica Pier and there are photographs from earlier times but her watercolors stand in a class all by themselves. She had some uncompleted work, only the drawings had been made. Susan is working to finish these for the show in March at Small World Books and Seaside Cafe. Come and enjoy.